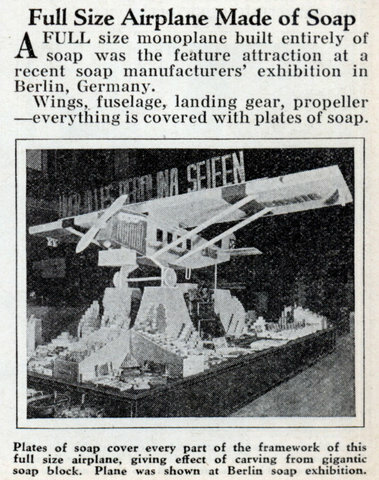 A FULL size monoplane built entirely of soap was the feature attraction at a recent soap manufacturers’ exhibition in Berlin, Germany. Wings, fuselage, landing gear, propeller â€”everything is covered with plates of soap. The plan was to make the soap from my family. Well then, it isn’t built entirely of soap, now, is it? I’m guessing that the aircraft is not certified for IFR flight. This is the most ambitious prison escape scheme I’ve ever seen. Why? For the same reasons people build life-size Lego models: 1) Because they are creative individuals who use ingenuity to design and build such fantastic objects 2) I’m sure they got paid for it. Somebody make that movie so I can watch it please. In “Take the Money and Run” Woody Allen’s character attempts a prison break with a gun whittled out of soap. If it’s Ivory Soap the plane would float. 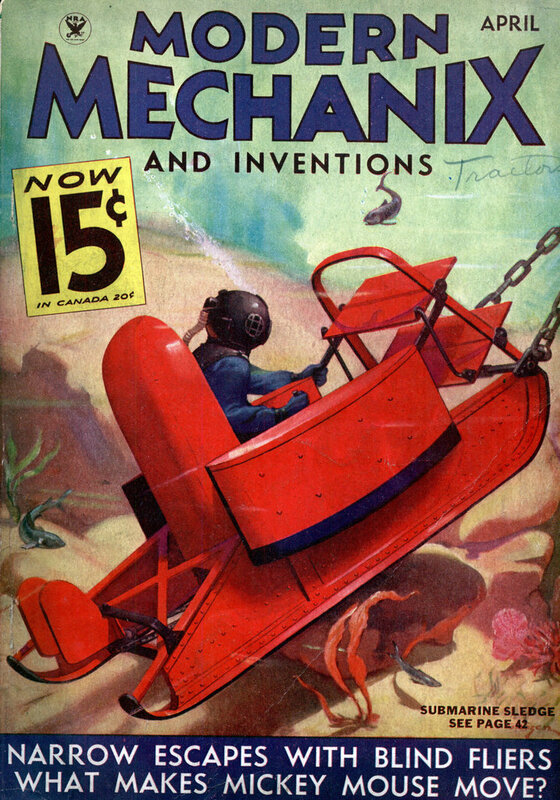 I guess it would make a good seaplane. Yeah, but only for a little while!